In addition to the brightness of a light emitting (active) object and the distance between the active and passive objects; the amount of light reaches a passive object also depends upon the amount of the surface area of the active object exposed towards the passive object. Inverse square law of distance for light is not valid in instances where the light emitting objects are in different shapes such as sphere (star) or cylinder (florescent tube); in which case the surface area of these objects exposed to an external object varies with the size of the objects. Assume the source of light as the spots of a contrast color on the surface of an inflated balloon. When the balloon is deflated to half of its original size, not only the brightness of the spots will increase but also more number of spots will be visible if we view the balloon from the same distance to the center of the balloon. If our star, the sun, collapses to half of its present size, an increased amount of surface area of the sun will be exposed towards the earth, resulting in the increase in the total amount of light reaches the earth. This is a clear violation of the inverse square law (ISL) for light. Before delving into the details of the ISL, lets first look at some of the basic laws about the light and its propagation. We can summarize two of the basic properties of light and its propagation in the following points. •A glowing object is a collection of point size light emitting objects (LEOs). The surface of the sun can be assumed as having a collection of N million light bulbs spread uniformly all over its surface. The number of light bulbs in a fixed percentage of the surface area of the LEO, irrespective of its radius, will always remain the same. One quarter or 25% of the surface area will have N/4 number of light bulbs. •The light emanating from the opposite side of the sun will never reach the earth. If the other hemisphere of the sun also faces towards the earth then the amount of light reaches the earth from the sun will double. It means the amount of light reaches a passive object depends upon the percentage of the surface area of the light emitting object exposed towards the passive object. Number of point size LEOs facing the passive object will increase withthe increase in the surface area of the LEO exposed towards the passive object. In the derivation of inverse square law of distance for light, it was always assumed that a constant percentage of the surface area of the LEO will be facing towards the passive object irrespective of the size of the objects and the distance between them. A close analysis of the surface areas exposed between two spherical objects reveals that the percentage of the surface area of a spherical LEO exposed towards another spherical object increases with the decrease in the radius of the light emitting object. Suppose two spherical objects A and B, A being the active object and the B as a passive object, facing each other as shown in Fig 1. In this case, it is important to note that the light emits from the surface of the sphere instead of from the center of the object. Fig 1. Exposure of surface area between two spheres. The equation for the surface area of the sphere A exposed towards the sphere B between the lines connecting the edges of the two spheres is given below where the R and r are the radii of objects A and B respectively and the d is the distance between the center of these two objects. Equation for the s in terms of the percentage of the area of the sphere is as follows. As shown in Eq 2, the percentage of the spherical surface area exposed towards the passive object is dependent on the distance between the two spherical objects and the radii of the active and passive objects. If we change the radius of object A from 10 units to zero by keeping the values for r and d as 10 and 20 units respectively, the value for p will increase as the object A approaches towards a point size. As the LEO decreases in size, the intensity of light emitting from its surface will increase and at the same time percentage of the surface area of the active object exposed towards the passive object will also increase; ultimately increasing the amount of light reaching the passive object as the active object decreases in size. When the two objects were close to each other, because the two spheres were equal in size, one full hemisphere or 50% of the surface area of each sphere gets exposed to the other. 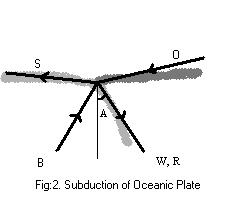 As the active object decreases in size, more percentage of the surface area of the active object gets exposed towards the passive object. When the active object turns to as close as a point size sphere, 75% of its surface area gets exposed towards the passive object. Increased exposure of the active object sheds additional amount of light on the passive objet. According to the Inverse square law, even if the LEO collapses to a point size, the amount of light reaches the passive object remains the same as when the two objects were close to each other. The ISL is based on the assumption that a same amount of the percentage of the surface area of the LEO gets exposed to the passive object irrespective of the size of the active object. In reality, more percentage of the area of the active object gets exposed to the passive object, resulting in an increase in the amount of light reaches the passive object when the size of the active object was decreased. A spherical light source emanates the light in all directions but we can only see the part of the light that is emanating in our direction from that object. At any point of time, an area of maximum one hemisphere of the light emitting object, like our sun, will be visible from an external point. The other half of of the sphere will be away from the passive point therefore the light from that part of the object will never reach the external point because the object itself will obstruct the light emanating from the other half of the object towards the external point. As long as the object remains as an opaque and spherical in shape, even if it collapses to a point size, the external point receives only half the amount of light emanating from the object. If the sun has a transparent interior, we will receive the light emanating from the other half of its surface as well. It means, the earlier obstructed part of the light gets exposed when it becomes a transparent object. When all the light emitting points on the surface of the LEO merge into a single point then there will not be anything obstructing between any of the light emanating from the LEO and the external point.Therefore, all the light emanating from all the points on the surface of the object will reach the external point. It is equal to merging all the light emitting points on the surface of the sun into a single point, a true point size LEO; similar to merging all the light bulbs on the surface of the sun into a single bulb. The intensity of the new point towards any direction will be equal to the combined intensity of all the points on the surface. If the sun ever becomes a true point size object, it will shine very brighter than it is visible at this time. It will be like peeling the entire surface of the sun and spreading it wide open in the sky facing towards the earth. The other side of the spread out sun will also shine with equal intensity. Even though each point on the present sun spreads the light in all directions, the light spreading towards the center will never be visible. By spreading its surface or converting it to a true point size, the light spreading inwards also gets exposed. There will not be any surface area for a true point size LEO. Lines extended for all the light emanating from a true point will be going through the center of the point. The amount of light reaches an external object from a true point LEO depends upon the angle of projection the external object makes on to the point. An area of exposure of a true point light source on to a flat surface wii increase four times if we double the distance between the objects. Consider two flat concentric circles with the radii of 5 and 10 units for inner and outer circles respectively. In this case, the area of the outer circle will be four times bigger than the inner circle. If we focus a torch light, with a fixed angle of projection, completely on to the surface of the inner circle from a distance of 10 units and then refocus the same torch on the surface at double the initial distance (20 units) , then the light from the torch will completely occupy the outer circle. In this case, the amount of light received by the inner circle will become one fourth of the initial value, but the amount of light reaches the outer circle will remain the same in both the instances because none of the light from the torch is falling outside the outer circle. Light not necessarily be uniformly distributed all over the surface of the object in calculating the total amount of light on its surface. If we further move away the torch from the surface and increase the distance by four times of the initial value (40 units) then the amount of light reaches the outer circle will become one fourth of the light from the torch. Therefore, we can say that the ISL applies in calculating the amount of light exposed by a true point size LEO onto a flat surface only when that surface is completely exposed to the light source and then the light source was moved away from the surface. The case of the amount of light reaches a sphere from an external true point light source is similar to the above concentric circles. A sphere can be assumed as a stack of flat and thin circular disks facing an external point. Light from an external point falls on the edges of different disks depending upon the distance between the point and the sphere. The area of exposure on the surface of the sphere forms as a spherical cap . The area covered by the cap can be expressed using the Eq. 3 where the s is the area of the cap, R is the radius of the sphere and the d is the distance between the external point and the center of the sphere. Amount of the surface area of a sphere exposed towards a true point light source varies with the distance, thereby changing the amount of light reaches each of the completely exposed disk in the sphere until the exposed surface area is equal to one complete hemisphere of the passive object. From that point onwards, the amount of light reaches the sphere will be inversely proportional to the distance between the objects. If we assume the radius of the sphere as 10 units then the graph for the surface area of the cap of the sphere is shown as in Fig 2. As shown in the graph, the difference in the area of the successive caps will be more when the point is closure to the sphere. As the point moves away from the sphere, the area of the cap will be close to the area of one complete hemisphere. 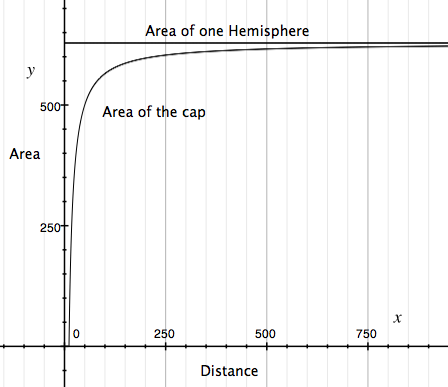 As we can see in the graph, the area of the spherical cap exposed by the external point will never be equal to the area of one complete hemisphere but it will be close to its value at far away from the point. The difference between the amount of light calculated using the ISL and the actual amount received by the sphere will be less when the difference between the area of one hemisphere and the area of the exposed spherical cap decreases. There are three possible scenarios for any light emitting object; a huge spherical object like our sun, a point size spherical object formed from the collapse of the same object and a true point size object. From the above analysis, it is now evident that a passive object receives more light from an active object when the object is a spherical point size LEO than it is a huge object. The same passive object will receive even greater amount of light when the LEO collapses to a true point size object. It is important to note that all of these three objects emanates the same amount of light. Variation in the amount of light received by an external passive object kept at a same distance from different forms of the same LEO violates the ISL for light. The root cause for the ISL to be false is the assumption of all the light emitting objects as a true point size objects in its derivation. A spherical and a true point size light emitting objects are not the same in the manner in which they spread the light around them. A true point size LEO spreads more light compared to any other spherical object even though the total amount of light generated by these objects are the same. exposure of a true point size LEO is on the whole surface of the passive object. There shouldn’t be any change in the amount of the surface area of the passive object exposed towards the active object when the distance between them was either increased or decreased. Amount of light (l ) an external point receives from a LEO depends upon the total amount of light (L) of the LEO, total surface area of the LEO (S), the distance between the center of the LEO to the external point (d) and the surface area of the LEO (s) exposed towards the external point. Amount of light received b the external point will increase as the amount of the surface area of the LEO exposed towards the external point increases. In summary, we can conclude that inverse square law of distance for light works only when the active light emitting object is of a true point size object and the passive object is a flat two dimensional surface. In all other scenarios, the amount of light reaches a passive object depends upon the size and shape of both the active and passive objects along with the distance between them. A successful explanation of the actual underlying physical process for an observed phenomenon will lead to the prediction of other possible scenarios for that process. A new understanding of how the nuclear reactions such as the fission and fusion works leads to the explanation of other observed anomalies. All the nuclear reactions, including the low energy nuclear reactions, appear to be the manifestation of the collapse and or expansion of a group of particles. Keywords: transitive property of equality, neutron star, singularity, black hole, binding energy, strong nuclear force, gravitational self energy, mass energy equality, nuclear fission, nuclear fusion, plasma, cold fusion and low energy nuclear reactions. For a long period of time, it has been thought that the solution for the energy needs of the future is in achieving the nuclear fusion, similar to the fusion process taking place in the Sun, by simply using the hydrogen gas. We get very limited amount of energy in the combustion of the hydrogen gas, whereas if we use the same amount of hydrogen in a fusion reaction, we are supposed to get abundant amount of energy. If we could able to control the fusion reaction, it was claimed that it is possible to generate enough energy to power the energy needs of the world for billions of years into the future with the amount of available hydrogen on the planet. Until now, all the attempts at achieving the fusion were consuming more energy than the amount of energy being released. Why we weren’t succeeded for all these years in devising a process for the fusion of hydrogen to power the world? Is such a process really a possibility or simply a figment of the imagination? Another oddity in nuclear reactions is our inability to explain the cause for the energy released in apparent low energy nuclear reactions. Inability to explain doesn’t invalidate a practical observation. Instead of ridiculing the observations, we need to look into our existing theories for any possible inconsistencies or misconceptions. It does appear that we have abundant amount of inconsistencies in our understanding of this physical world. The very basic premises in our understanding of nuclear reactions such as definition of mass, mass deficit and the binding energy appear to be flawed. According to the Transitive Property of Equality in Mathematics, if a = b and b = c then it will be a = c. Even though the Mathematics is the basis for the field of Physics, this property doesn’t appear to be true in Physics. Let’s assume that the stars A and C with a mass of ma and mc collapsed to form two neutron stars B and D with a mass of mb and md respectively. According to the definition of mass, an object’s mass will remain same irrespective of its size. It means that the initial stars and their neutron counterparts will measure the same amount of mass. Therefore ma = mb and mc = md. According to the same definition of mass, two identical objects will measure the same amount of mass. If both the two neutron stars contain the same number of neutrons then they both will measure the same amount of mass. In this case, mb will be equal to md. Here, we have ma = mb and md = mc. Because mb = md, we can say that ma = mb and mb = mc, therefore, according to the Transitive Property, ma should be equal to mc. It means that the mass of two stars will be the same if the number of neutrons in those two stars is same. In reality, this conclusion is not true. Two different stars will measure different amount of mass depending upon the elemental composition of the stars, not on the number of neutrons they contain. Definition of mass, the very fundamental concept in Physics violates the basic laws of Mathematics. Flawed definition of mass is the sole culprit for the present chaos in physical theories. Mass or gravity of an object does change with the size of the object . Either if it is star or a nucleus of an atom, the compact form of the object measures more mass than the expanded form of the object with same amount of material. A neutron star measures more mass than any other object from which it was collapsed. The relationship between the mass, binding energy, deficit of mass and the size of a nucleus was grossly misunderstood. The mass of all the baryons in a nucleus will be greater than the mass of the nucleus of any element. The difference between these two was termed as the mass deficit and it was equated to the binding energy within the nucleus using the mass-energy equivalence principle of E = mc2. According to the present theories, a nucleus will be compact when there is more and more binding energy within that nucleus. It means, a nucleus which exhibits increased amount of deficit in mass will have more binding energy and forms as a compact nucleus. The relationship between the deficit of mass and the size of a nucleus is a derived notion, not a direct observation. It will lead to all false conclusions if we use the deficit of mass or the binding energy within a nucleus as basis to determine the volume of that nucleus and how far away the nucleons are from one another. If all the mass becomes deficit within a nucleus then that nucleus will have tremendous amount of binding energy; transforming it as the most compact form of material, possibly as a singularity or black hole. It means, the black hole is the lightest form of a material, the mass of any black hole being almost equal to zero kilograms because all of its mass was deficit. The idea of black hole being massless is unthinkable in the current theories of Physics. Black holes or the singularity does have a non zero amount of mass because many objects were bound to these black holes gravitationally such as the stars around the super massive black hole at the center of our Milky Way galaxy. Even the other way around for the deficit of mass doesn’t appear to be true. If the object has less deficit in mass, it will have less binding energy and occupies more in space. It means an expanded form of an object measures more in mass to its compact and denser counterpart. The concept of binding energy advocates that the size of the object or the amount of space the matter occupies will be proportional to the amount of mass it measures. In other words, the volume of the object is inversely proportional to the amount of deficit in mass that object exhibits. If that statement is true then a gaseous form of CO2 should measure more in mass compared to the dry ice formed from the same amount of CO2 molecules. Even this conclusion is in stark contrast to the definition of mass according to which the mass of an object should not vary depending upon the size of the object. There is no consistency between the physical aspects such as mass, deficit of mass, binding energy and the volume of an object. All of our assumptions and theories based on the current definition of mass appear to be flawed. The most appropriate description of the observations coherently is that the mass or gravity of an object increases as all the matter within the object collapses to a compact form. The gravity of the same object will decrease as the distance between the particles increases [1,2]. Strength of an object doesn’t depend upon the density of the material with which the object was made of; rather it depends upon the structure of the material within the object. Shape and structure of same amount of carbon atoms in graphene or diamond determines the strength of the object. Same amount of bricks will result in different amount of strength for a structure depending upon whether those bricks were arranged in an arch or a flat form. Aerogel made from carbon is stronger than any other collapsed form of object made from the same amount of carbon atoms. Just like the diamond, Aerogel’s strength comes from the structure of the material. Water is in compact form compared to the ice formed from the same amount of H2O molecules but the ice is stronger than its compact counterpart. 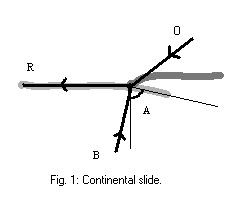 Usually, the strength of an object originates from the state of equilibrium within the object in a lattice or crystalline structure. An object with strong binding energy be not necessarily a compact object. Principles of Physics should be universal and be the same for macro and micro worlds. Increase in the binding energy is not an indication to the compactness of the nucleus. There is no direct relationship between the size and binding energy of a nucleus. Binding energy depends upon the structure in which all of the baryons form within a nucleus. It is a well known fact that the iron has more binding energy than any other nucleus but that doesn’t mean it has one of the compact nuclei. The most plausible explanation for the iron to have more binding energy is the structure of its nucleus. The cause of increased deficit in iron is due to the increased volume in which all of its baryons were occupying . Nucleus of iron has more deficit in mass, more binding energy and will have increased distance between the baryons. The flawed definition of mass and the misunderstanding of the binding energy lead to many false conclusions in Nuclear Physics including the main factor by which the energy is released in these reactions. Gravity between two stars will increase when both the stars collapse to form neutron stars. Gravity will further increase when these two neutron stars collapse to form black holes. Inverse square law of gravity doesn’t incorporate the size of an object into the picture. When definition of mass itself is flawed then the inverse square law for gravity is also becomes invalid. A compact object, either it is a nucleus or a black hole, measures more in mass and gravity, and contains more energy. Gravity between two objects is stronger when they are of compact form such as two point size particles. In the absence of additional strong force between the particles, it was theorized that the gravity itself is the strong nuclear force [1, 2]; only the theories describing them are different until now. A compact object contains more energy in the form of gravitational self energy and measures more in mass and gravity. A compact form of an object means that all the particles within that object are close to each other. As the object expands, by increasing the distance between the individual particles, the gravitational self energy of the object decreases and at the same time it also measures less in mass and gravity. The difference in the gravitational self energy between the two forms of the object will be released as the energy in the expansion of the object. In any form of reaction, the amount of energy being released will depend upon the amount of increase in the average of average distance between one particle to the rest of the particles within the initial and final form of the object for all the particles combined. Nuclear fission is a process of splitting a nucleus of a heavy element into nuclei of two lighter elements. The amount of energy released in the process was equated to the amount of mass that was deficit in the process . Uranium and all other heavy elements are known to have less binding energy per nucleon than the nucleus of the iron atom. Natural decay or the fission of heavy elements releases the energy until they form as the nuclei of an element with more binding energy such as iron. The notion of a nucleus of a heavy element with a less binding energy giving rise to a nuclei with more binding energy and still releases the energy, equal to the amount of mass that was deficit in the process, defies the logic. The sum of the binding energy of the products and the energy released will be more than the binding energy of the heavy element. In accordance with the above findings, we can describe the nuclear fission as the expansion of a compact nucleus. Nucleus of heavy elements like the uranium will have less deficit of mass, less average distance between the baryons and more gravitational self energy. Disintegration or expansion of this nucleus by fission or by radioactive decay releases the energy and results in the deficit of the combined mass of resultant products. It is widely believed that the source of Sun’s energy is the fusion of plasma, the hydrogen nuclei, into lighter elements. The amount of mass that was deficit in the reaction was equated to the amount of energy released. Plasma is a densely packed group of protons, completely different from the gaseous state of hydrogen found at the room temperature. Due to the compact nature of the plasma, it will have more self energy than the hydrogen gas for the same amount of protons. As the plasma expands when it forms as the nuclei of other elements, it releases the energy. Normal hydrogen atoms are already in an expanded form as a gas at the room temperature. They can’t release any more energy when they are subjected to any kind of nuclear reactions. To make the hydrogen atoms to release energy, first we need to compress the atoms to the state of plasma and then that plasma should be subjected to an expansion. Energy will be consumed in the compression of the gaseous hydrogen before it ever releases the energy. Even within our star, tremendous amount of energy was consumed initially in converting the hydrogen into a compact form of plasma. Energy is now being released from the plasma when it expands in forming the helium nuclei. Just like the neutron star is a compact form of neutrons, the plasma is a compact form of protons. How much of binding energy these objects exhibit? According to the standard theories, the binding energy of these two objects is simply a zero because we don’t propose any loss of mass in these objects yet they are very tightly bound compact objects. The fusion as we know it today is a two phase process; a collapse of the initial material to a compact form and the rearrangement of the compact material into different nuclei in an expansion. The initial phase consumes the energy and the later phase releases the energy. The net result depends upon the amount of initial collapse and the later expansion. It is absolutely not possible to release the energy without first consuming the same in a fusion process. All the lighter elements such as hydrogen are found in the nature in a gaseous state. Unless this material was compressed to a compact form, there is no possibility of extracting the energy from these lighter elements. The energy released in the fusion of deuterium with tritium creating helium is from the collapsed material of deuterium and tritium; it has nothing to do with the deficit of mass in the in the initial material. It is also possible to extract different amount of energy using the same amount of material in a fusion process. 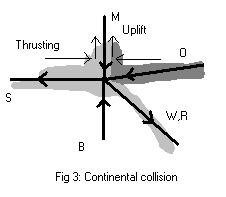 The amount of energy released depends upon the amount of collapse in the initial material. The mass energy equivalence principle, E = mc2, takes the initial and final products into the picture and ignores the intermediate collapsed form of the material. The actual amount of energy released in a fusion depends upon the volume of the intermediate collapsed material and that could vary depending upon how much energy is used to compress the material. Energy inequality in fusion reactions and the flawed definition of mass are indications to the invalidity of the principle of mass energy equality in nuclear reactions. Are There any Other Possibilities in Nuclear Reactions? As it was mentioned earlier, the fusion is a two phase process; without the initial collapse of a material, it is not possible to release more energy in the process. Even though the earlier  and the more recent  observations of palladium-deuterium reactions revealed the possibility of excess energy in the nuclear reactions, these reactions wouldn’t fit the description of either the fission or fusion processes. It was unfortunate that the process was termed as the cold fusion, hoping it to be a variant of nuclear fusion process. If not fission or fusion, what are these nuclear reactions if at all they are of type nuclear? In any nuclear reaction, the net amount of energy depends upon whether there is a collapse or expansion in the material. If there is a net increase in the average distance between the particles of initial nucleus to the final nucleus by acquiring a proton or neutron, then that process will release the energy. If a tightly packed nucleus expands by acquiring a proton or neutron, then that process will release energy. There is no need for the collapse and expansion of the material like in the process of fusion. The only thing required for a reaction to release the energy is the net expansion of the material. The initial and the final nuclei could be the isotopes of same element or the nuclei of completely different elements. This process is more akin to the fission process than to the fusion; where the nucleus expands but not to the extent of becoming the two different nuclei. These experimental observations were never gained any credibility even after changing the name to Low Energy Nuclear Reactions (LENR). It is because the standard theories explaining the nuclear reactions were based on the false fundamentals. That made it difficult to comprehend these observations based on the prevailing theories. Even though we generate enormous amounts nuclear energy for the benefit of the world, we haven’t understood the underlying physical processes which are the basis for these nuclear reactions. Expanded and collapsed forms of an object are not the same. Compact form of the object contains more energy than the expanded form of the same object with same amount of material. A compact form of an object can only release the energy when it was subjected to an expansion. It is also possible to extract small amounts of energy from non-fusion and non-fission nuclear reactions where there is a net increase in the average distance between the particles of initial and final nuclei. The notion of extracting enormous amounts of energy by simply using the hydrogen gas in a fusion reaction to power the world is baseless. The cause for all of the unrealistic assumptions is the flawed, baseless, mathematically invalid fundamental concepts such as the mass and the binding energy. K Marasakatla, Gravity from a New Angle (2009). L. Meitner and O.R. Frisch, Disintegration of Uranium by Neutrons: a New Type of Nuclear Reaction, Nature, Vol. 143, No. 3615 (February 11, 1939).